adorable, love the last picture! Ahh oooh Jack is not happy!!! Love this too! I always look forward to Mondays with the fur babies! 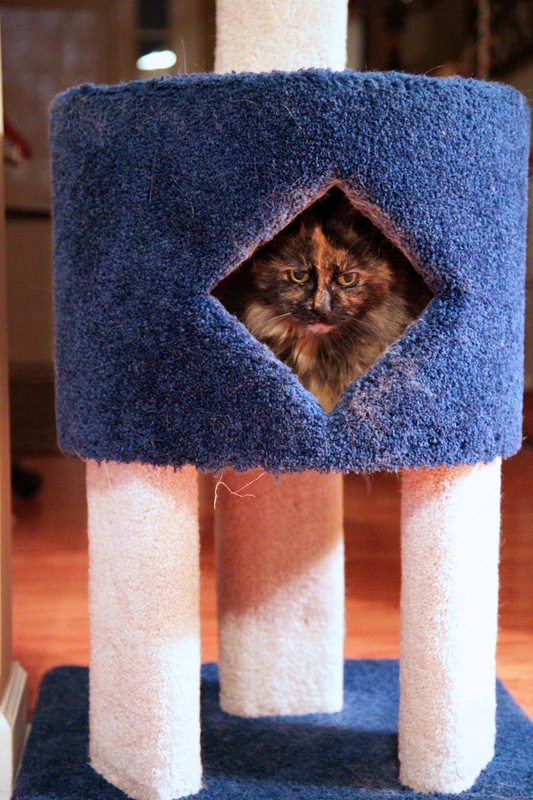 I am having trouble finding a cat tree condo that will accommodate larger cats. My guy is big (okay...he's fat) and in condo searching, I see that a lot of reviews say the platforms aren't big enough for large cats. Its hard to tell the true size of your cats in the photos but do you find that the size is an issue? Any recommendations as I am tired of online searching!! Thx. 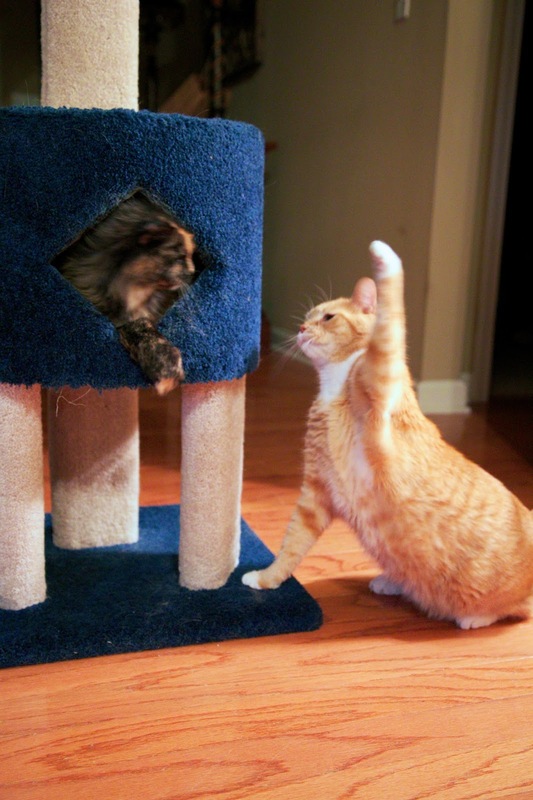 "High five, Fluffy!!! Aw, c'mon!!!" Meow Monday is the first thing I check when I log in-makes my morning!!! Thanks! 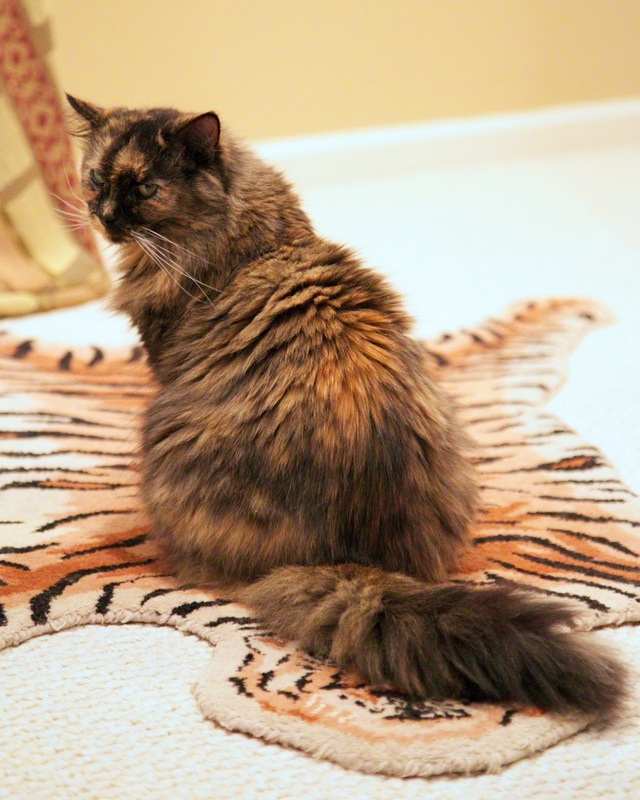 Squeaky says "behave you 2"
Love the picture of Squeaky on the tiger rug! She is such a Diva!